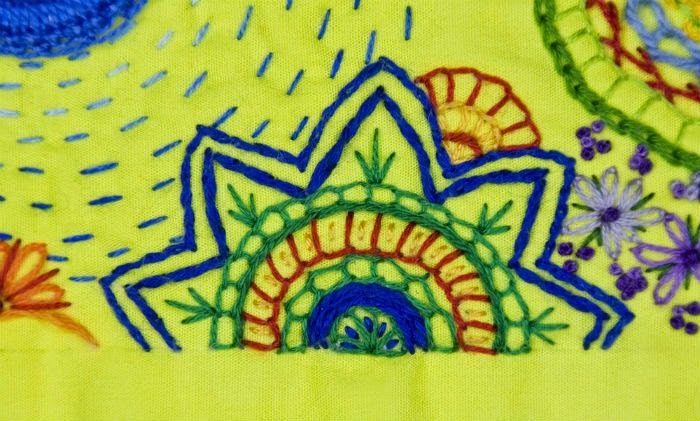 The Regina Stitchery Guild program for this year is to explore embroidery stitches from around the world. 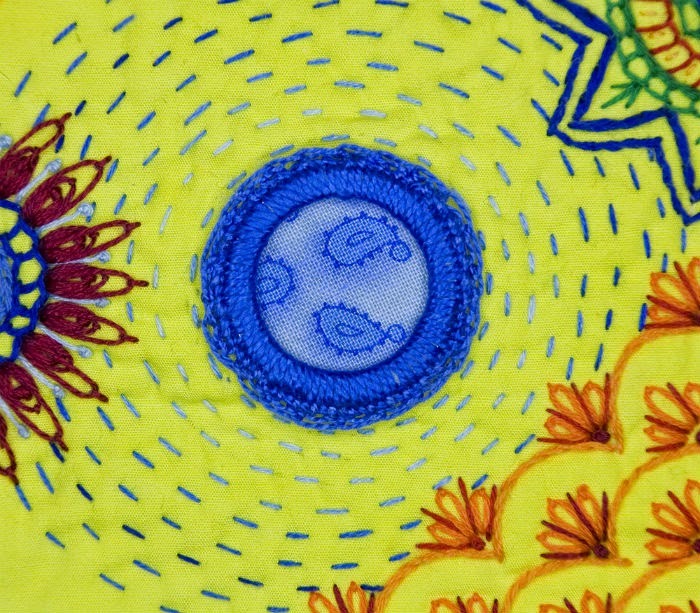 September was to explore the embroidery of India and I've added circles of running stitches around a buttonhole stitched washer. For the centre I used a piece of paisley material I had. Along one of the sides I added this star shape and played with filling it with different stitches, ie: stem, straight, chain, buttonhole and herringbone. 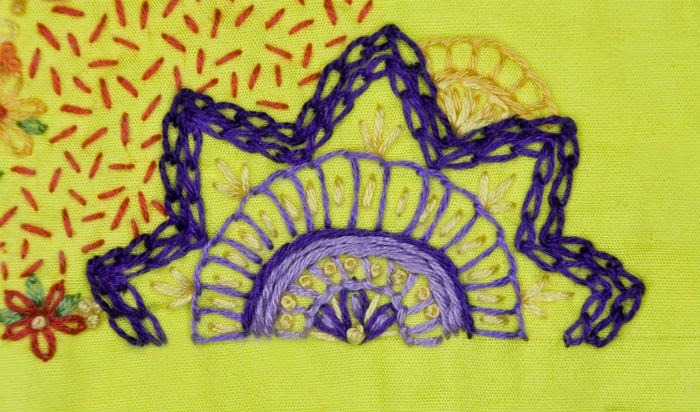 I quite liked the star design so I also put it along one of the other sides again experimenting with different thread colours and stitches ie: chain, straight, buttonhole, stem and french knots. 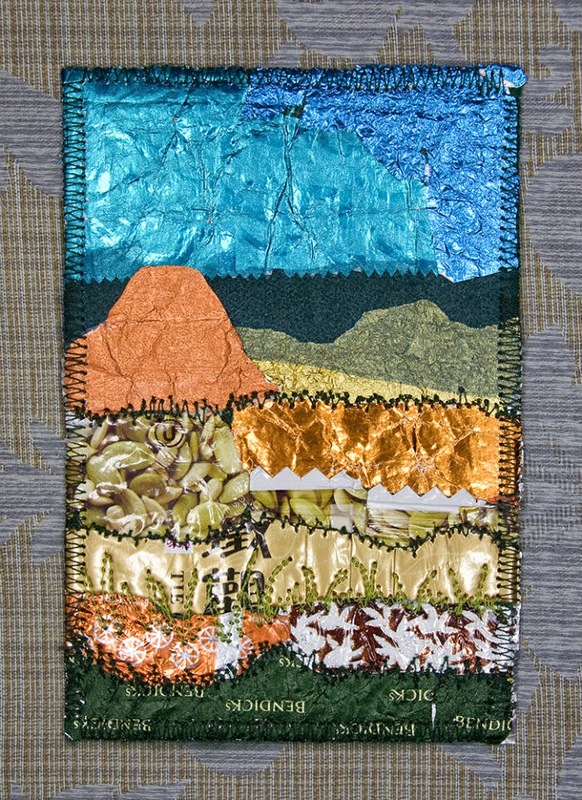 I received a large envelope of candy, gum and chocolate wrappers from Carol Storie at the guild mtg and I made this landscape fabric postcard using them. Thank you Carol! I sent it to an International Mail Art Exhibition being held in Nov. and Dec.
Also made a couple of wrapper landscape atc's. 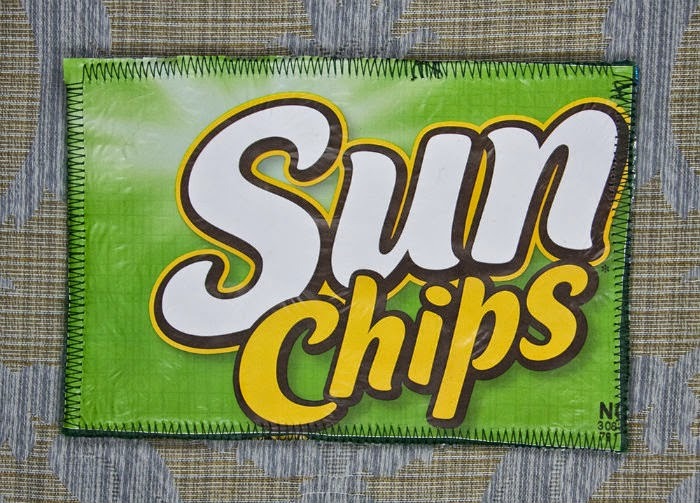 backed with more of the Sun chip bag. 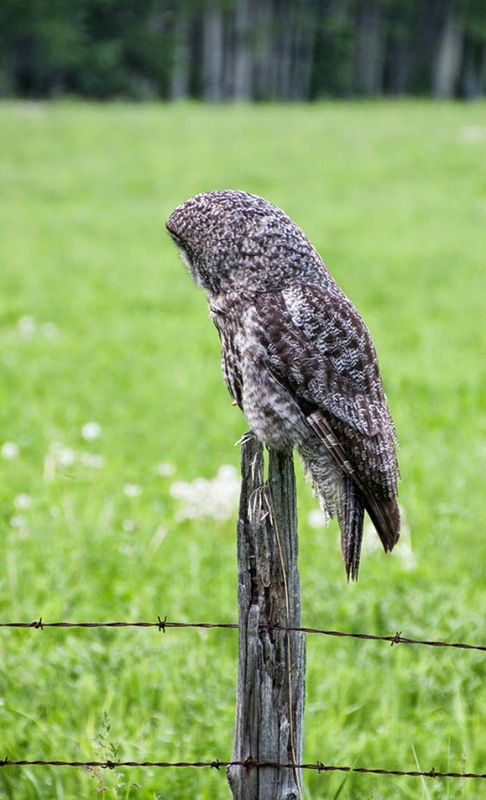 While driving on a back road we came across this beautiful large Great Grey Owl perched on a fence post. Needless to say we were thrilled when he/she let us take some pictures before flying away. Have a most delightful day and creative day everyone! 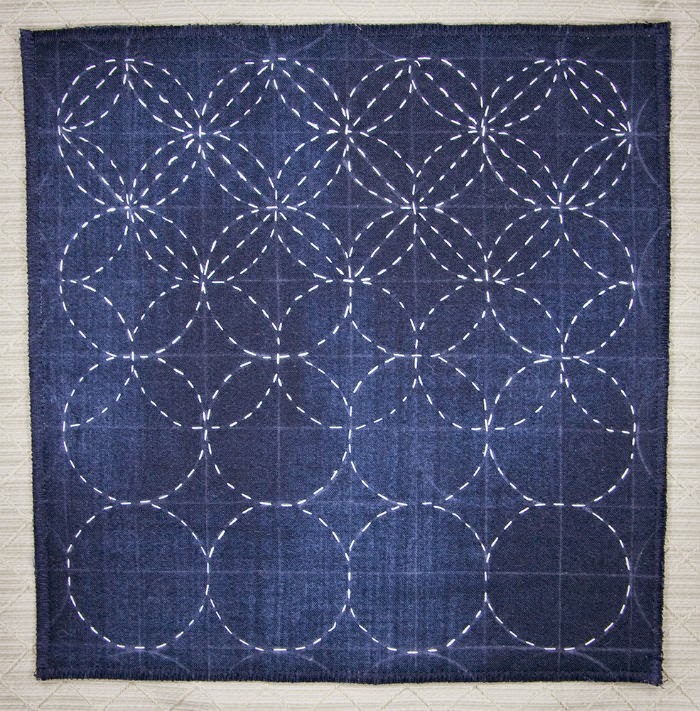 Love your creative stitching Jeannette! Really enjoyed reading your Blog. 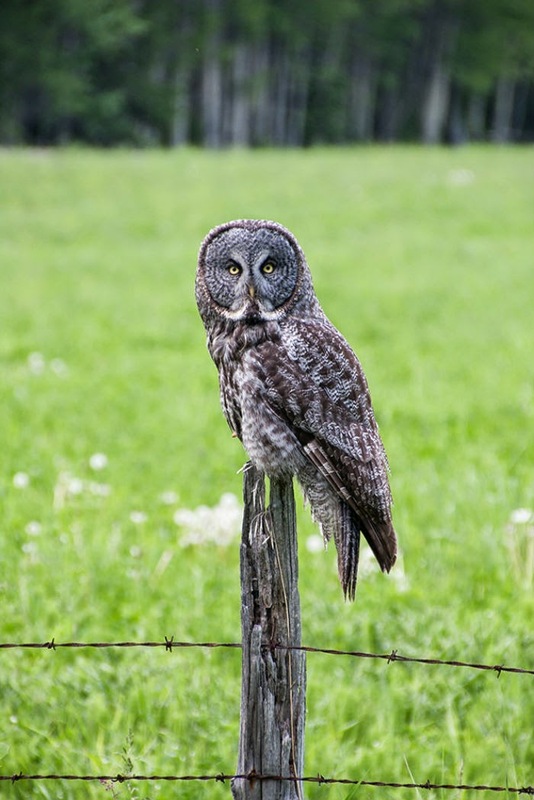 That owl was so cooperative. He would look awesome in Needlepainting, wouldn't he? You have lots of projects on the go - good for you! 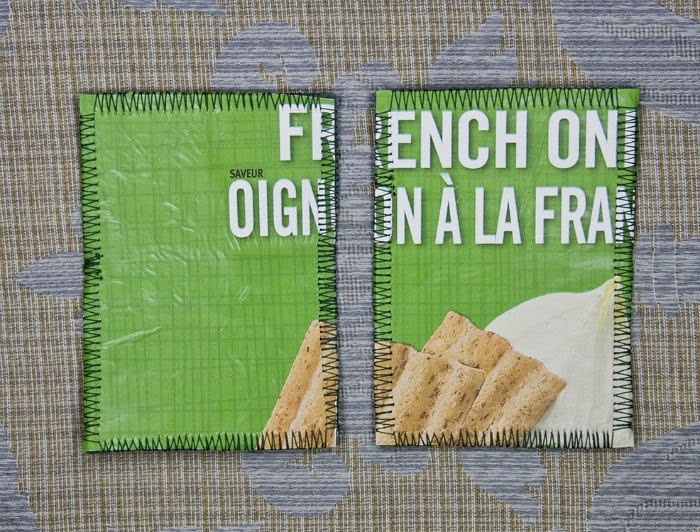 Love your piece from the candy wrappers!